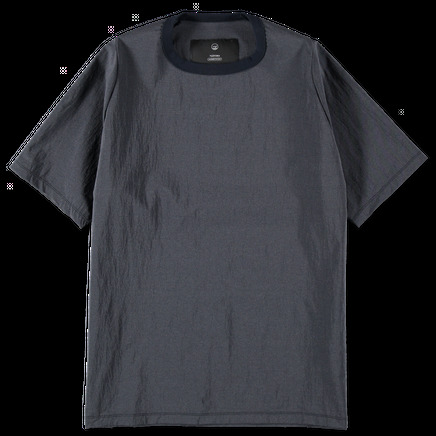 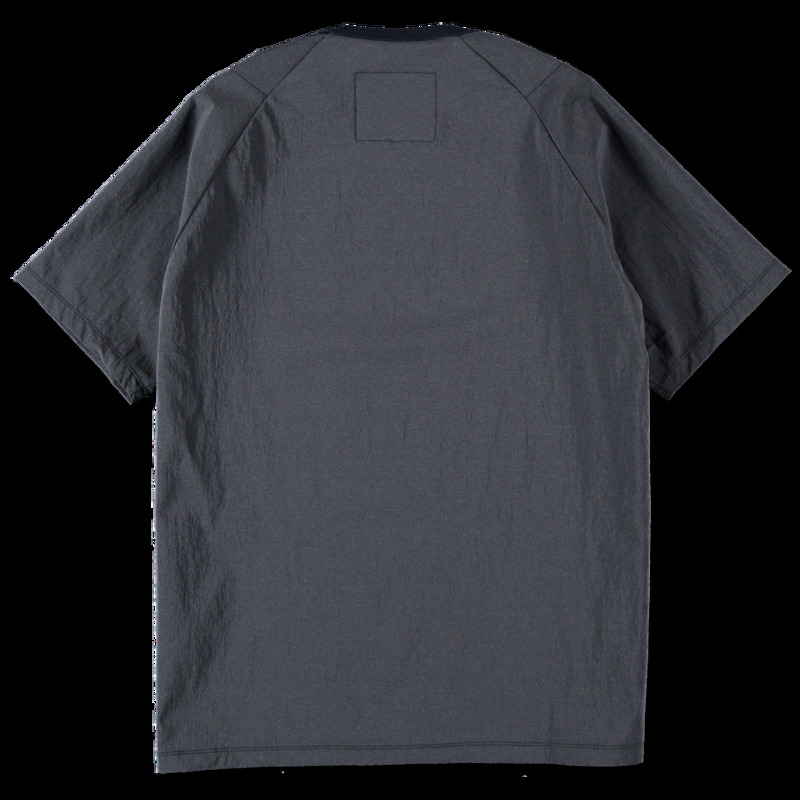 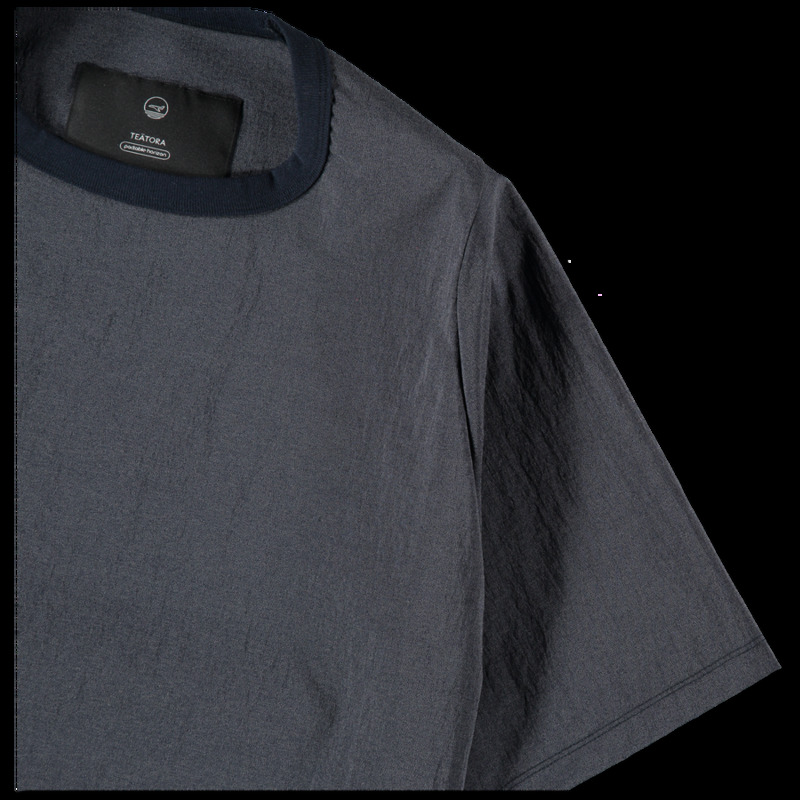 Relaxed fit tee in a lightweight dense nylon fabric. Regular front shoulder and raglan back. Elasticated ribbed neckline and straight hem.